There's something exciting about mash-ups. Like when Marvel vs Capcom was first announced, all the fighting game nerds around the world started going crazy because there are fewer things more exciting than getting to beat the ever-loving snot out of Ryu with Venom because, I mean, those are the kinds of games you'd play with your toys growing up. Or how about cross-over TV episodes when characters from other shows drop in to other shows that you like for a super bonanza-entertainment fest that just makes your weeknight that much more special before having to trudge through another day of school the following morning. What's even cooler is when artists from different mediums join forces. Now, if you've ever watched Orange is the New Black, then you know that one of the best parts of the show is Sophia Burset, played by Laverne Cox. Burset isn't just a transgender character in the show. Cox, herself, is openly transgender. And on top of being a successful actress, is an advocate for LGBTQ and transgender rights. She's even written columns for outlets like The Huffington Post on the subject and is the first openly transgender actress to be nominated for an Emmy. In addition to Cox's extensive film and TV career and outspoken activism, she's announced some other huge news: She's teaming up with Beyonce on a project that's going to be officially announced on September 6th. Cox shared a clip of her interview with Access Hollywood Live, but not many details were shared about the project; just that Cox is a huge fan of Queen Bey (how can you not be?) and that the singer had inspired her through her transition. Which got Twitter all excited and interested in finding out new details. 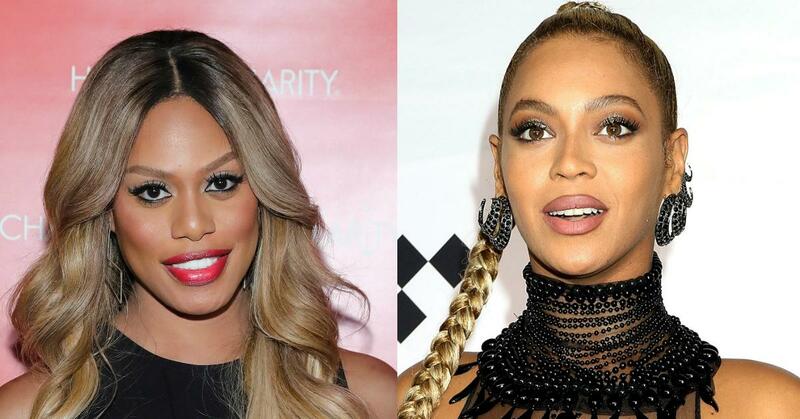 What do you think the Laverne Cox x Beyoncé will be? Some already had ideas of their own. Beyonce and Laverne Cox will be working together to build a non profit organization that will help the LGBT community. What do you think the project will be?